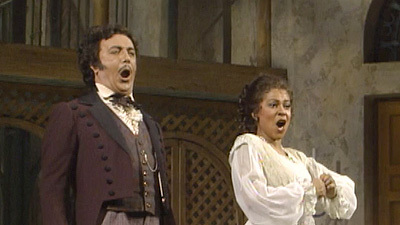 The delightful Reri Grist as Rosina leads the cast in this high-spirited performance of Rossini’s sparkling comedy. 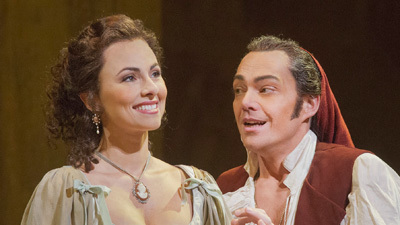 George Shirley is her suitor, Count Almaviva, who, in order to win her, must employ the help of the titular barber and jack-of-all-trades, Figaro—sung with style and gusto by Nicolae Herlea. Fernando Corena as Bartolo and the great Cesare Siepi as Basilio lend gravitas and humor to the proceedings, and Silvio Varviso presides on the podium.